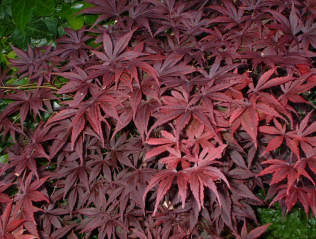 A Japanese red Acer in a sheltered part of the garden. Slow to establish, but well worth the wait. Best planted in an area away from ice cold winds.